This time of year is my very favorite. I love the songs, the decorations, the excitement. But this season is also busy, chaotic, and it seems we either experience the very best in those we encounter - or the very worst. Amid the hustle and bustle all around me, my very favorite thing to do is turn off all of the lights in my house except for the Christmas Tree. Then I make myself a warm cup of something, track down my coziest blanket, and snuggle in, staring at the tree and the way the lights provide a warm glow in the darkness around me. And it seems no matter what has happened in the hours before, there is a sense of peace that surrounds me in that moment. Over the years, the Grinch has worked his way into the hearts of many and has become almost synonymous with Christmas, possibly because many of us can relate to his grinchiness. The Grinch was full of hatred, assuming the Whos believed Christmas was all about the stuff. But why? What was missing in his life? Some would argue that he was missing peace. Peace has been defined as “a state of tranquility or quiet; freedom from oppressive thoughts; a stress-free state” (Merriam-Webster). But it goes beyond that. It comprises notions of wholeness, completeness, and soundness. And I think it’s safe to say, the Grinch did not possess peace. After years of listening to the joyful and triumphant celebration, he finally decides he cannot handle one more Whoville Christmas, and takes matters into his own hands. He will steal Christmas. At least that’s what he thought. But after the deed is done he hears the singing, and slowly he begins to realize that Christmas might be more than just stuff. 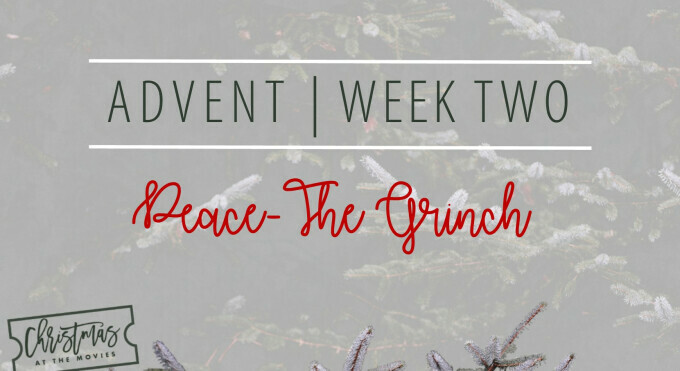 The Grinch was hurting because he lacked peace. And his resolve was to hurt those around him. When we lack peace, we are held captive by oppressive thoughts, and the natural outflow from our thoughts to our actions quite often will result in destruction. Peace is replaced by disorder and chaos. From broken people to broken homes to broken communities and countries - we are surrounded by hatred, anxiety, and sorrow. And as the saying goes, misery loves company. Hurt people hurt people. But because peace was God’s plan, He promised to send One who would restore peace. The prophet Isaiah called Him the “Prince of Peace”. Jesus was sent to bring peace to the world, and left His peace with those who follow Him. This Christmas, we can actually be Peace on Earth. We can defy the assumptions and expectations of this hurting and broken world by being Peacemakers (Matthew 5:9). We can be hopeful in those moments that seem hopeless because we have hope in Jesus. We can be joyful when we are surrounded by sorrow because we can rejoice in the Savior. We can be loving in the midst of hatred because we are loved by the Prince of Peace. Peace on Earth looks like God’s people bringing hope, joy, and love to the hurting and the broken. Stealing a few quiet moments with the soft glow from the tree allows me the time and the space to recenter my heart and mind, remembering who Jesus is and what He brings to my life. He is the Prince of Peace who has left His peace with me to be a Peacemaker in the chaos of the word. Reflect | How can you create more space for peace in your daily life?